Powers Hill from the intersection of Blacksmith Shop Road and Granite Schoolhouse Lane. Powers Hill was used as an artillery platform, headquarters, and signal station. This view was taken from the southeast facing northwest at approximately 4:30 PM on Thursday, April 10, 2008. Thursday afternoon was sunny, with the highs in the 70s. The trees are starting to bud, so before they come out fully, the Star and Banner decided to take a trip to Powers Hill. Powers Hill is located in Gettysburg National Military Park in the area of the Baltimore Pike, Granite Schoolhouse Lane, and Blacksmith Shop Road. Union artillery on Powers Hill shelled Confederates, and mistakenly some Union Soldiers on Culp’s Hill early in the morning of July 3, 1863. Right Wing Commander and Twelfth Corps Commander, Major-General Henry W. Slocum had his headquarters here. During the bombardment preceding Pickett’s Charge on the afternoon of July 3rd, Army of the Potomac commander, Major-General George Gordon Meade temporarily moved his headquarters to Powers Hill. 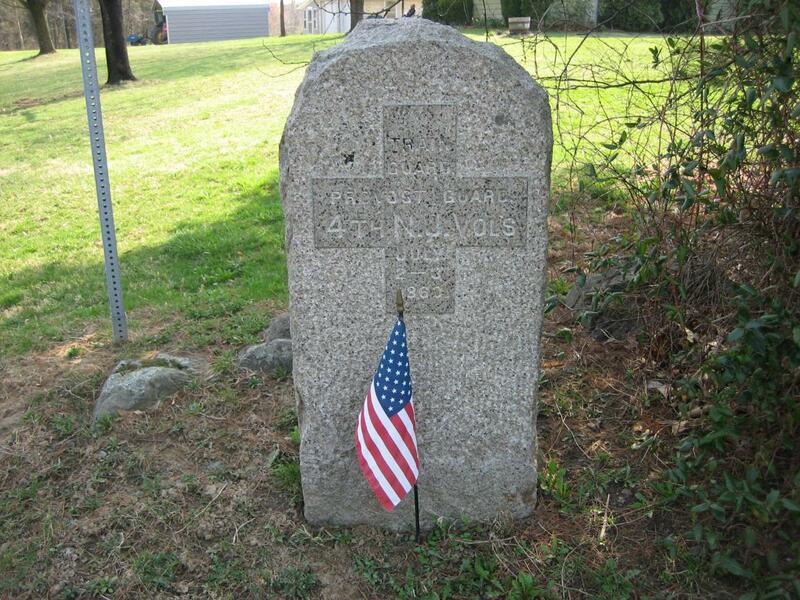 Also at the intersection of Granite Schoolhouse Road and Blacksmith Shop Road was a marker to the 4th New Jersey Infantry Regiment. This unit was used as a train guard in this rear area of the Union lines. During the afternoon of July 3, 1863, during the bombardment preceding, and the attack known as Longstreet’s Assault or Pickett’s Charge, union fugitives fled to the rear. The 4th New Jersey deployed in this area with bayonets fixed to stop their flight. Major Charles Ewing, commanding the 4th New Jersey, claimed he stopped, reorganized, and turned over 400 to 500 men to Provost-Marshal General Marsena Patrick. This view was taken from the northeast facing southwest at approximately 4:30 PM on Thursday, April 10, 2008. 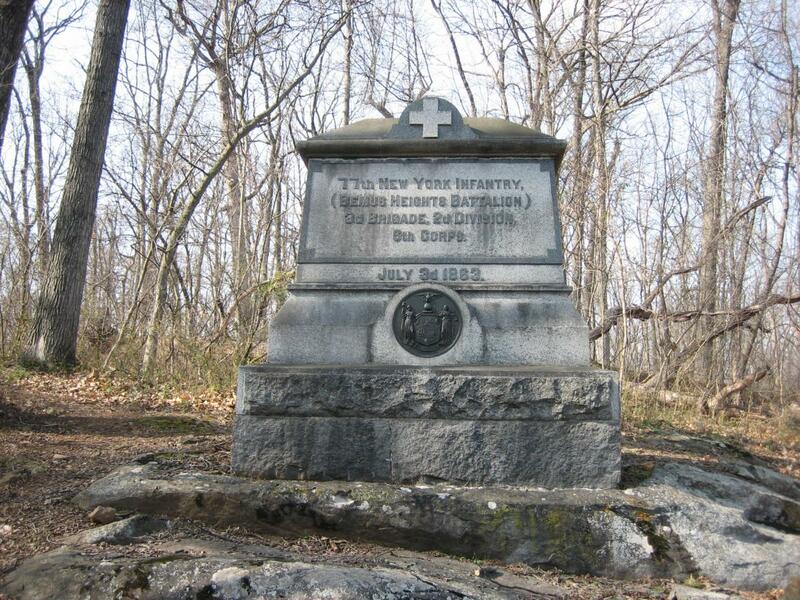 The monument to the 77th New York Infantry Regiment on the southern slope of Powers Hill. The 77th New York provided infantry support for the artillery located on the hill. The 77th was raised in Saratoga Springs, New York in November, 1861. This view was taken from the south facing north at approximately 4:30 PM on Thursday, April 10, 2008. View from the 77th New York monument looking back to the intersection of Granite Schoolhouse Lane, seen on the right, and Blacksmith Shop Road. The intersection is in the left center of the picture, to the left of the tree in the foreground. View from the northwest looking southeast at approximately 4:30 PM on Thursday, April 10, 2008. 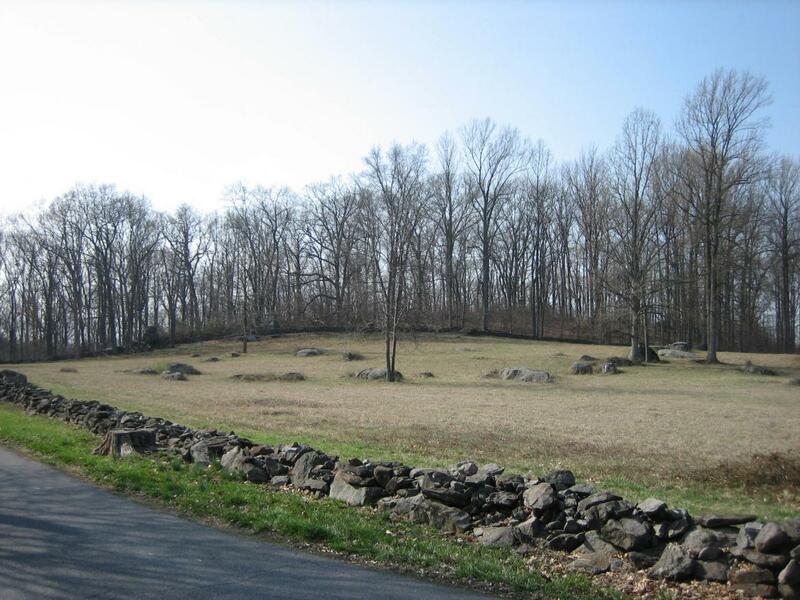 The 77th New York arrived at Gettysburg around 6:00 PM on July 2nd with 424 men. The unit did not suffer any losses during the battle. This view was taken from the northwest facing southeast at approximately 4:30 PM on Thursday, April 10, 2008. 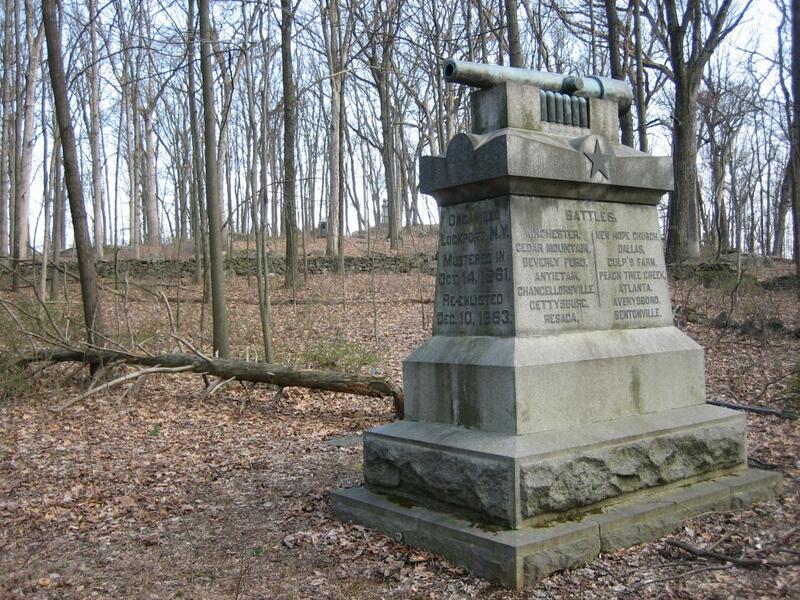 At the crest of the hill is the monument to Captain James H. Rigby’s Battery A, Maryland Light Artillery. This is the rear of the monument. The battery was organized in Baltimore in September, 1861. During the war, 6 men were killed, and 28 died from disease. This view was taken from the southwest facing northeast at approximately 4:30 PM on Thursday, April 10, 2008. The front of Rigby’s Battery A, Maryland Light Artillery. The battery arrived on Powers Hill on the morning of July 2nd. The Battery fired 211 rounds during the battle, and did not suffer any casualties. View from the north looking south at approximately 4:30 PM on Thursday, April 10, 2008. The rear of the monument to Battery E, Knap’s Pennsylvania Light Artillery. The unit was formed in Pittsburgh in September, 1861. 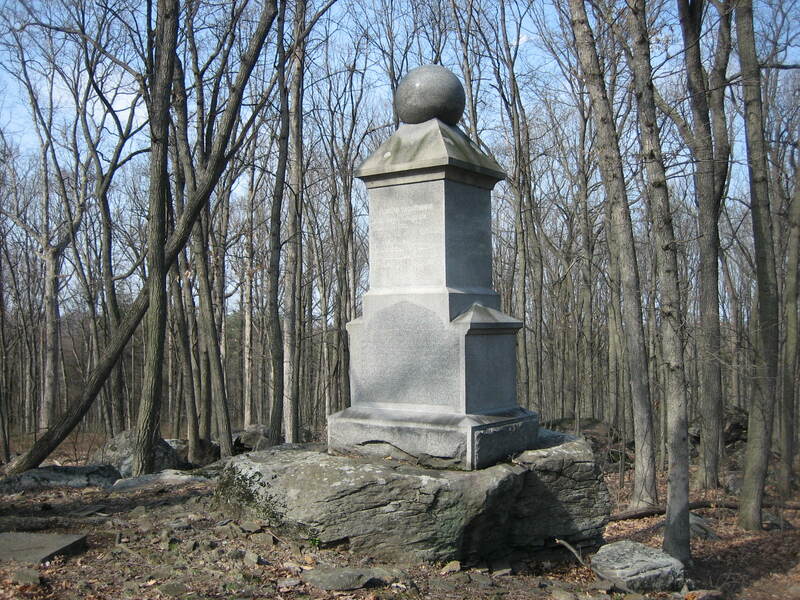 This monument is down the slope, northeast of Rigby’s Maryland battery. Farther down the slope to the north is visible the monument to Battery M First New York Artillery. View is from the southwest facing northeast at approximately 4:30 PM on Thursday, April 10, 2008. 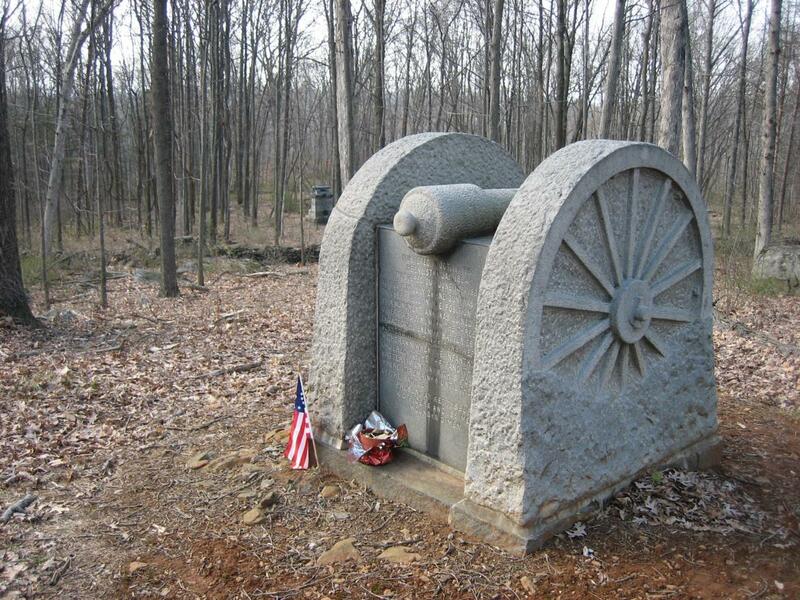 The front side of Knap’s Pennsylvania battery. The monument to Rigby’s Maryland Battery is in the view to the top left. 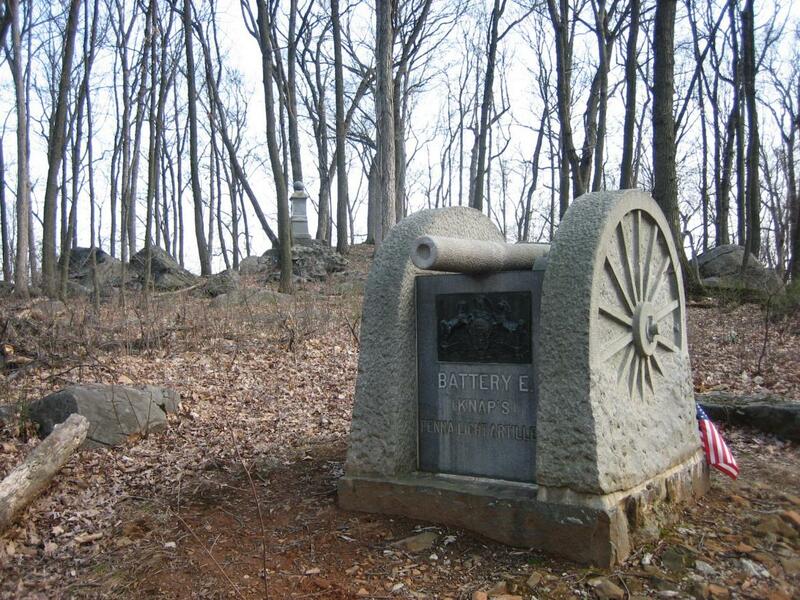 Three guns from this battery were detached on July 2nd to go to the summit of Culp’s Hill. 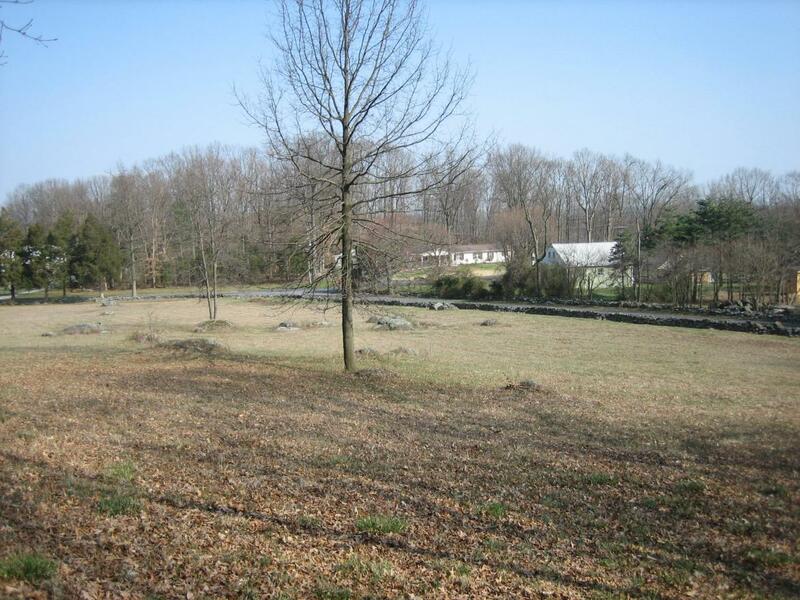 There they dueled with Confederate Major Joseph Latimer’s Battalion on Benner’s Hill. View from the northeast looking southwest at approximately 4:30 PM on Thursday, April 10, 2008. 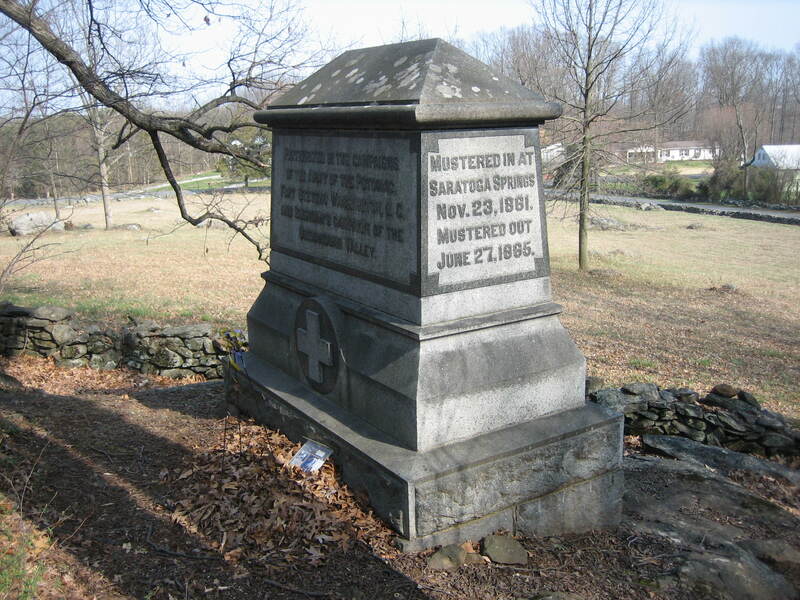 The south side of the monument to Lieutenant Charles E. Winegar’s Battery M, First New York Artillery. This unit was organized at Lockport, New York, and mustered in at Rochester in November, 1861. This monument is seldom seen by visitors, but in its detail, is one of the finest artillery monuments on the Gettysburg battlefield. 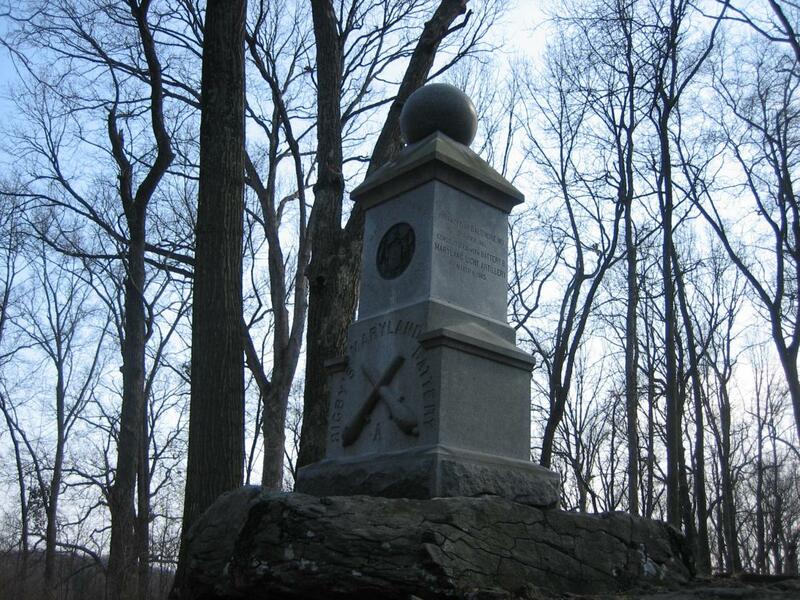 During the battle, one section of the unit was located farther to the north, but on what is now private property, so the battery’s monument is located here. The other section of the unit was located on McAllister’s Hill. View is from the south facing north at approximately 4:30 PM on Thursday, April 10, 2008. 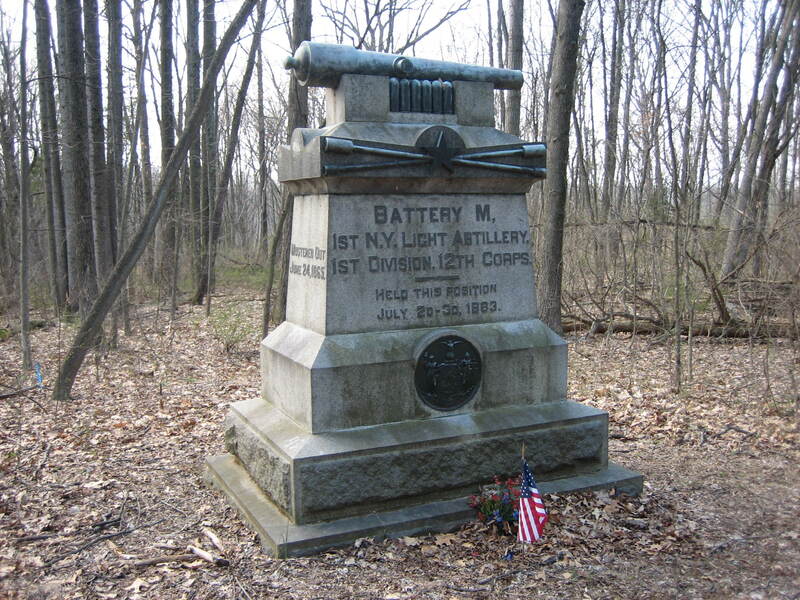 The north side of the monument to Battery M, First New York Artillery. In the left background are the monuments to Knap’s Pennsylvania Battery and Rigby’s Maryland Battery. During the war, the battery lost 13 men killed or wounded, and 12 men who died from disease for a total of 25. View from the northeast looking southwest at approximately 4:30 PM on Thursday, April 10, 2008.